Looking for a new juicer? We’ve put together some facts you should know about in order to choose the right juicer. If you juice every day, you will consume far more fruits and vegetables than you would if you had to eat them in whole form. There are many different types of juicers and it’s easy to get lost with the wide variety of juicers available. 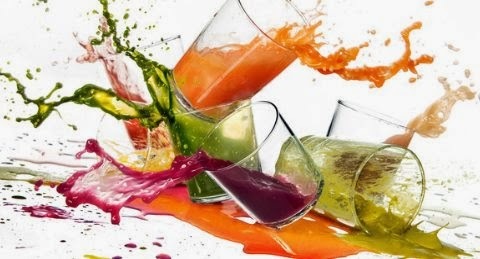 What is the right juicer for you depends on what kind of fruits and vegetables you want to process. The different types of juicers process fruits and vegetables differently. These juicers work with high speed and centrifugal force to extract the juice. Centrifugal juicers are the most common juicers and operate with a speed of around 1200 rpm. They are perfect if you are mainly juicing hard fruits and vegetables like carrots, apples, ginger, celery, beet, fennel, etc. One of the most popular centrifugal juicer is the Breville BJE820XL. Other popular centrifugal juicer brands include Cuisinart, Hamilton Beach and Chefs Star. Please note that centrifugal juicers cannot process wheatgrass. Masticating juicers are also known as “slow juicers” as the slowly crush and grind the fruits and vegetables. They produce juice by squeezing the fruits and vegetables between two steel cylindrical rollers that sit side by side. With masticating juicers the juice is extracted more effectively than by centrifugal juicers. These juicers typically come at a higher price but are the best juicers available. The most popular masticating juicer on Amazon is the Omega J8006. Other popular masticating juicers are Kuvings and KitchenAid. Please note that like centrifugal juicers, masticating juicers cannot process wheatgrass. These are professional juicers and they can process leafy greens, wheatgrass. Twin-gear juicers push produce between two meshed gears at very low speed to shred plant fibres and then press the juice from them. They are also very good with hard fruits and vegetables like ginger and beets but don’t process soft fruits and vegetables as good as centrifugal juicers. The most popular twin-gear juicer brands are Tribest, Omega and Super Angel. Single-auger juicers use an auger to crush the fruits and vegetables and press out the juice. These juicers operate on a low rpm and can process wheatgrass and leafy greens. The most popular single-auger juicer brands are Omega, Tribest and Breville. Manual juicers are perfect for extracting citrus juice. Simple hand presses are the most common types. They are economical and easy to clean. There are also electric citrus-only juicers available. The most common brands are Cuisinart, Black & Decker and Krups. To easily find the best juicer for your needs simply use the Amazon search box below.